This tool is free only for developer edition and for enterprise, unlimited or professional editions only login and logout events are available ; other events are available on extra cost. One important aspect to notice about this feature is that it is API only feature. These logs are stored in Object EventLogFile. We can use tools like Workbench or SOQL in developer console to fetch records. As discussed previously, Trailhead is super star right now in Salesforce world and everyone is talking about it. Currently it has 41 modules and 6 projects. 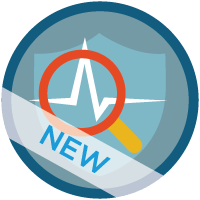 You can learn more about Event monitoring in Trailhead and earn cool badge of module and share in community.